Frederic Chopin [show-PAN] was the only great composer who wrote mainly for the piano. He was not a songwriter nor did he compose for orchestras. 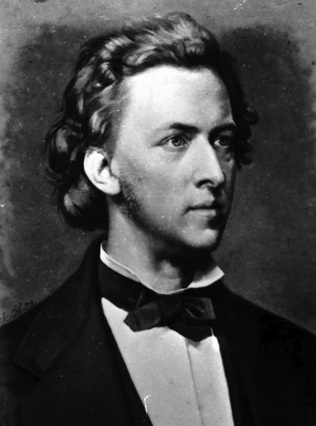 Chopin composed during the Romantic Period, which lasted from about 1825-1900. At the age of 21, Chopin moved from Warsaw, Poland to Paris, because at that time, Paris was the artistic capital of Europe. Chopin’s music is in the romantic style. Romanticism was a cultural movement that stressed 1) freedom in expressing one’s emotions; 2) using one’s imagination; 3) and developing one’s own individual style. This was different from the Classical style of Mozart and Beethoven, whose music often sounded similar to each other’s and was more controlled and restrained. 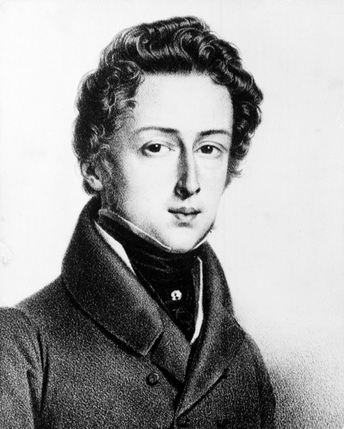 By the age of eighteen, Chopin had developed his own personal and original music style. Most of his pieces are short, called miniatures. They suggest a variety of moods, and are always elegant, graceful, and melodic. No other composer has made the piano sound as beautiful as Chopin, who creates the illusion that the piano "sings". He uses graceful and delicate musical ornamentation of notes. He knew how to use the piano pedals in a sensitive manner. The way he used harmony, or chords, was very original and influenced later composers. Our listening example today is one of Chopin's popular works, called Nocturne in E-Flat Major. 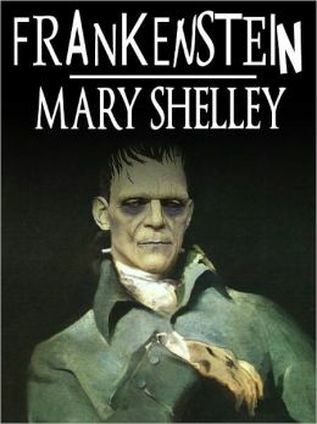 He wrote it in 1830, when he was about 20 years old. A nocturne is considered evening music, slow, peaceful and songlike. In this piece, he ornaments certain notes by circling above and below them, or using trills moving back and forth quickly between two notes. He also uses a rhythm technique called rubato, a slight pushing forward and pulling back of the beat. These techniques make Chopin's music sound very expressive. While Frederic Chopin was a highly talented pianist, he was also a shy, reserved man. He was most comfortable performing at small gatherings in peoples’ homes, rather than on the concert stage. These home gatherings were often called “salons”, and might include other musicians as well as poetry readings, or showings of artwork. 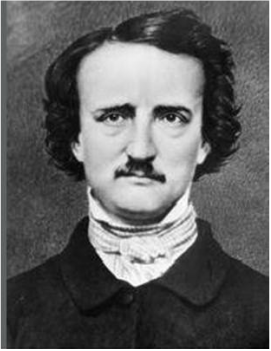 It was for these small gatherings that he wrote his short pieces, like nocturnes, waltzes, preludes and dance forms. He earned a good living teaching piano to the daughters of rich familes, and he lived in luxury. ​During Chopin’s lifetime, European countries experienced a number of wars and political revolutions. In 1831, when Chopin was 21 years old, Russian armies invaded and took over his home city of Warsaw, Poland. This may have inspired him to compose a piano piece called the Revolutionary Etude [A-tude ]. An etude is a study piece designed to help a performer master specific technical difficulties. For example, Chopin's Revolutionary Etude develops speed and endurance in a pianist’s left hand, which must play fast, running passages throughout the piece. Chopin’s etudes are more than just technical exercises. They are musical masterpieces that are exciting to listen to, and they are often played on stage by professional, concert pianists. Chopin was one of the leading pianists of the romantic era. This was a time of significant changes in the arts. 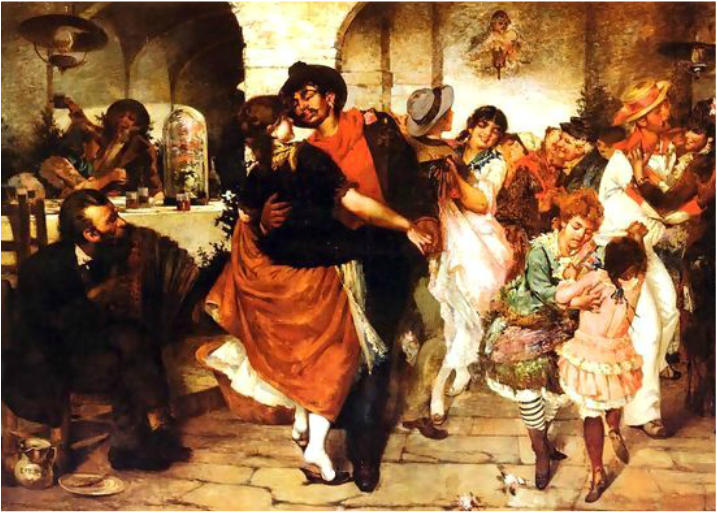 The romantic movement influenced all the different art forms and spread throughout the world. Artists of the romantic period were interested in subjects such as the supernatural, fantasy, dreams, history from the Middle Ages, romantic love, and especially nature. 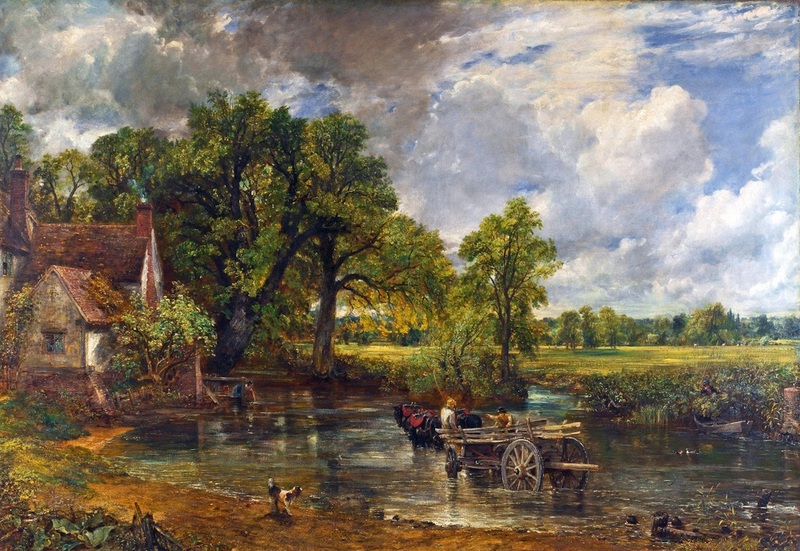 ​There is much visual art containing subjects of nature by artists such as the English artist John Constable. ​French and German songwriters composed “art” songs about trees, flowers and the seasons. Our listening example today comes from Chopin’s Fantaisie-Impromptu, another popularly performed work. This composition has a beautiful, slow and calm middle section that has been used in today’s popular culture. The melody was used in the popular song, “I’m Always Chasing Rainbows”, sung by Judy Garland. 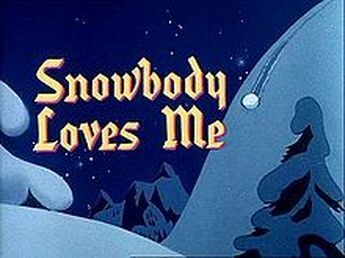 It was also heard in a Tom and Jerry cartoon called Snowbody Loves Me. 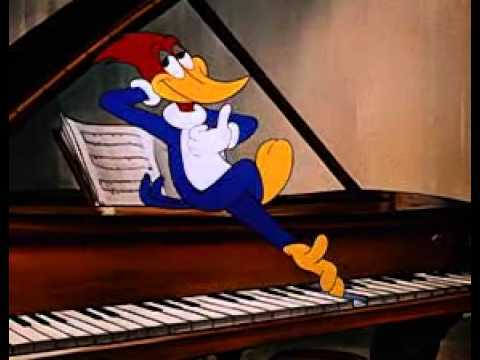 It is heard in the Woody Woodpecker episode “Musical Moments from Chopin”. The tune was used in a 2003 film as a cellphone ringtone, and in the 2013 film Jobs. Even though Chopin lived in Paris and became a French citizen, he remained loyal to his homeland of Poland. 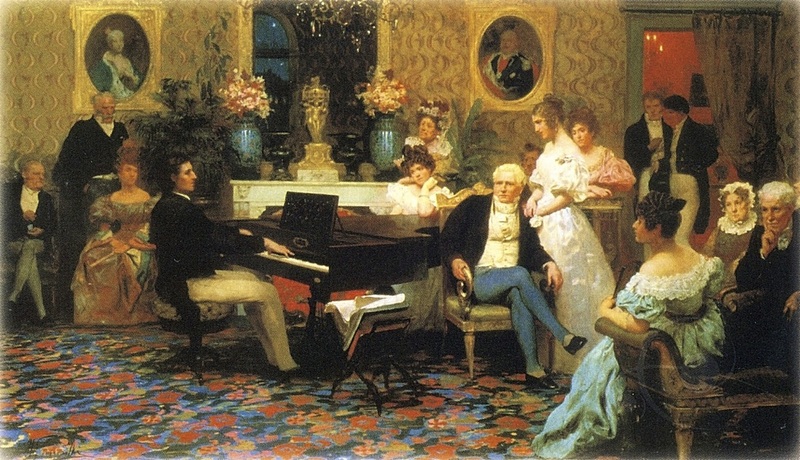 Many of his compositions were based on the dances of Poland. These included the mazurka and the polonaise. 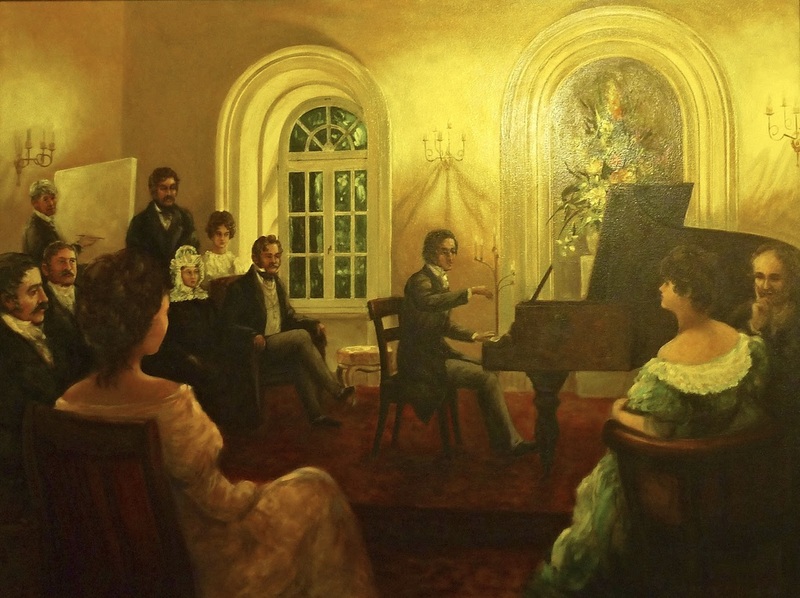 Chopin’s composition of these dances signaled new ideas of nationalism. Like Bedrich Smetana of the Czech Republic, Chopin used his dances to influence and inspire other composers to support their national music. 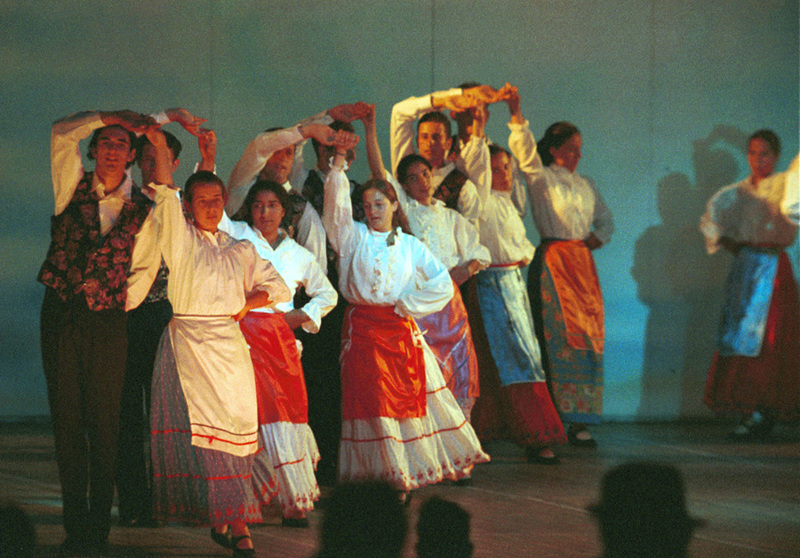 Chopin wrote at least 59 mazurkas for piano, based on the traditional Polish folk dance. 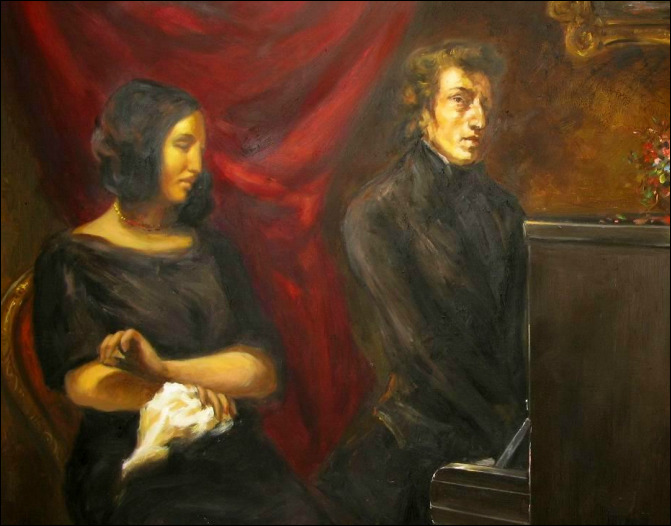 However, Chopin transformed his mazurkas into an entirely new genre, one that became known as a “Chopin genre”. You can listen to an example of a mazurka on the listening links at the bottom of today's lesson. 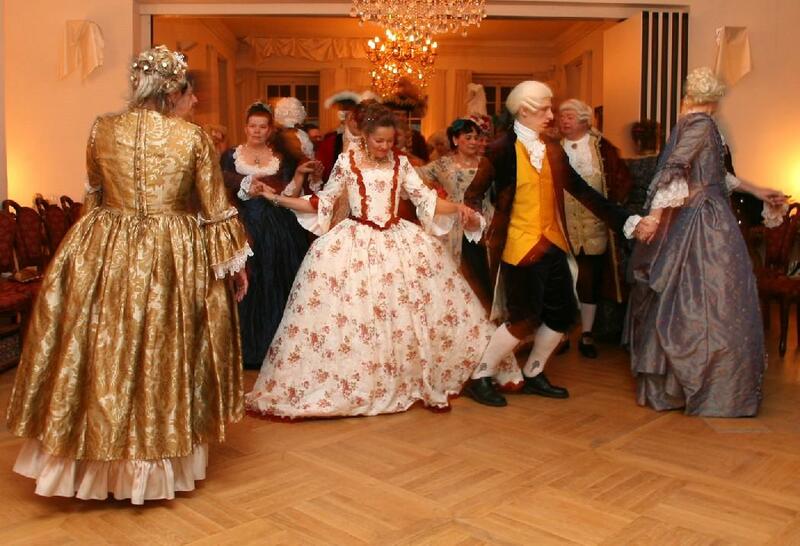 ​Chopin wrote over 25 arrangements of the polonaise, the most important Polish national dance. 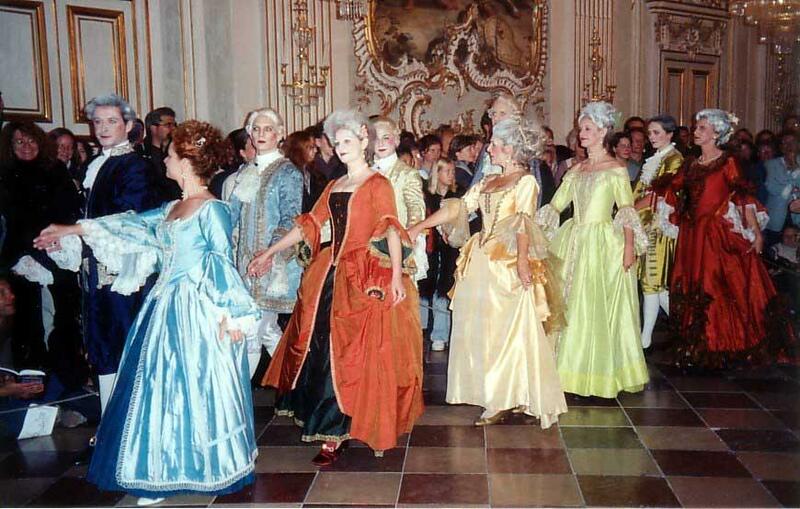 The polonaise developed in Poland long before Chopin’s time, and was a fashionable society dance at many European courts of the nobility. It was frequently used as the stately processional in opening state balls in European courts and in America. ​They were even written by the Baroque composer, Bach, and the Classical composer, Beethoven. The polonaise is written in three-four time, having three beats to a measure. One of Chopin’s most famous and recognized is the Polonaise in A-Flat Major, which has a grand, march-like melody. This piece is listed under today's listening links. ​often used as a processional at court events. 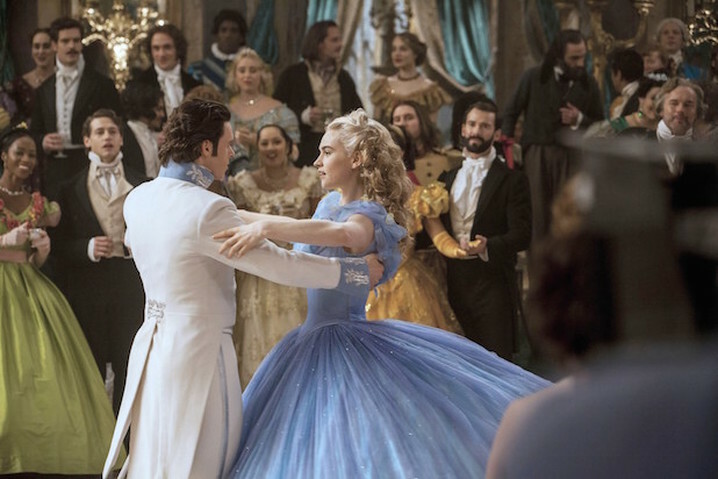 ​The waltz became popular in Vienna, Austria during the Classical era of the late 1700’s, and quickly spread throughout Europe. However, Chopin’s waltzes were not designed for dancing, but for concert performance. 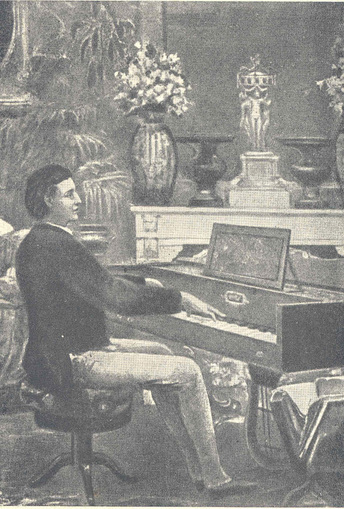 Of his thirty-six waltzes, some of them are playable by pianists of moderate skill, but some require advanced playing skills. 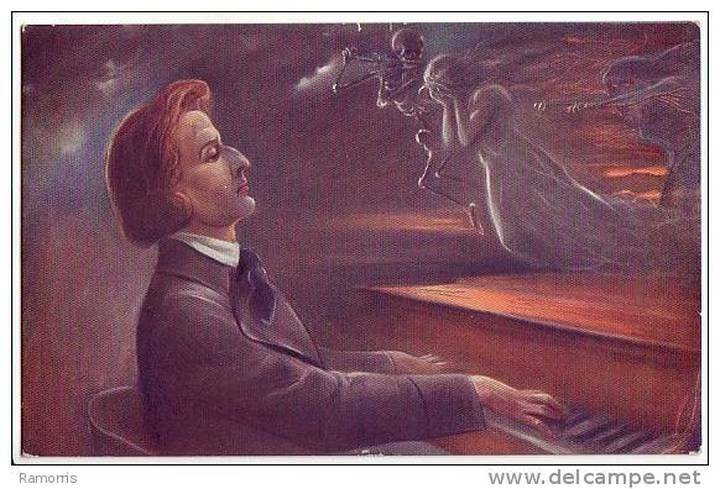 Chopin wrote waltzes from the age of fourteen until the year of his death in 1849. Like the polonaise, waltzes are always in three-four time. 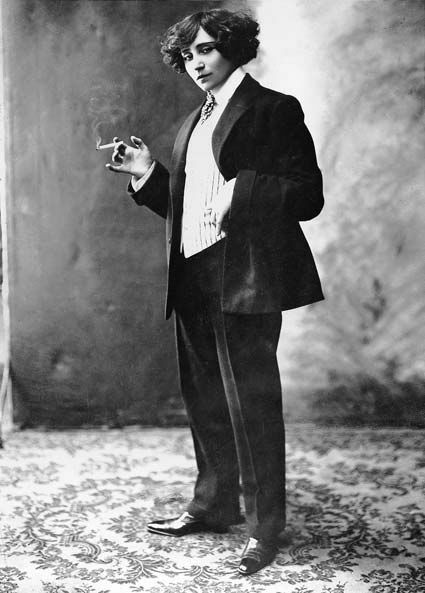 Our listening example is probably the most famous of his waltzes, called the "Minute Waltz". Marked “very fast”, there has been the idea that the pianist should try to play this piece in about a minute, when it actually takes closer to two minutes to perform. But this is a misconception of what Chopin originally intended. 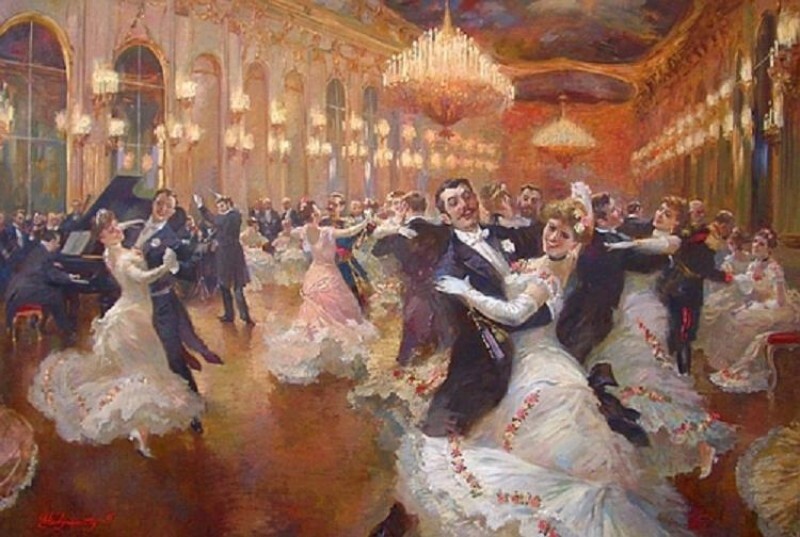 Instead of the minute waltz, with the accent on the first syllable of the word, its nickname was intended to be [my-NUTE], to mean a “small” or miniature waltz. In English, is real title of Chopin's waltz is “The Waltz of the Little Dog” (Valse du petit chien). Chopin got the inspiration for this piece as he was watching a small dog chase its tail round and round. Our listening example is one of the slower versions, to give you the opportunity to actually hear the music, rather than just a blur of notes. 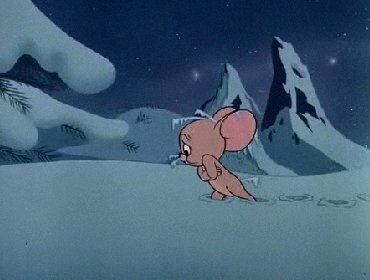 Listening Example: Prelude No. 15 "Raindrop"
While in Paris, Chopin was acquainted with the leading musicians, writers and artists of that time. For many years, he was a close friend of the novelist, Aurore Dudevant. 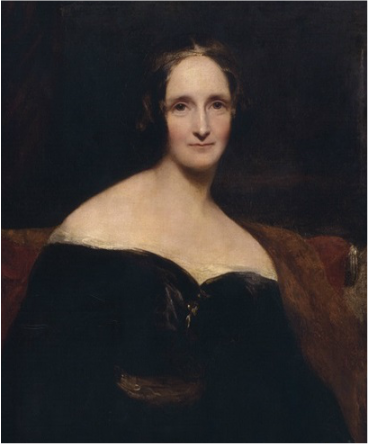 In the 1800’s, women were not encouraged to pursue their artistic talents, so they often had to use a man’s name to have their works published. 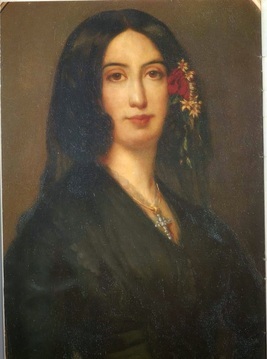 ​Dudevant published her works under the pen name George Sand, and she sometimes wore men’s clothing. 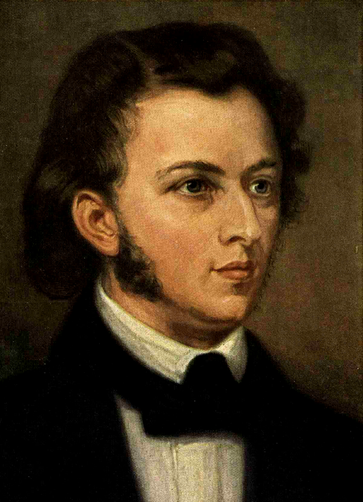 During their friendship, Chopin composed many of his greatest works. ​Chopin’s health had always been frail, and he developed tuberculosis, also known as TB. Dudevant helped care for Chopin during his illness. ​Chopin died at age 39. 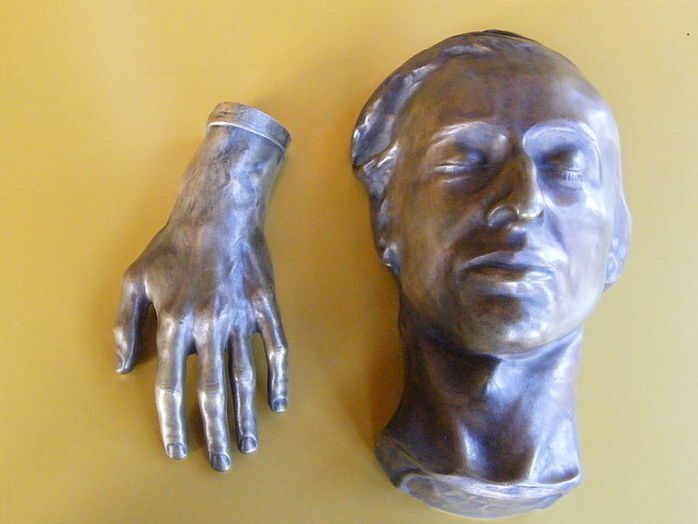 A death mask was made of his face and a cast was made of his hand. So many people were expected at his funeral, that tickets were issued. Over 3,000 people arrived in Paris without invitations, from as far as London; Berlin, Germany; and Vienna, Austria; and they had to be excluded from the service. 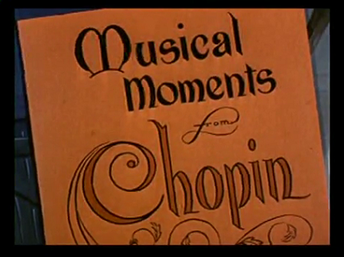 Several films have been made about Chopin’s life and career. 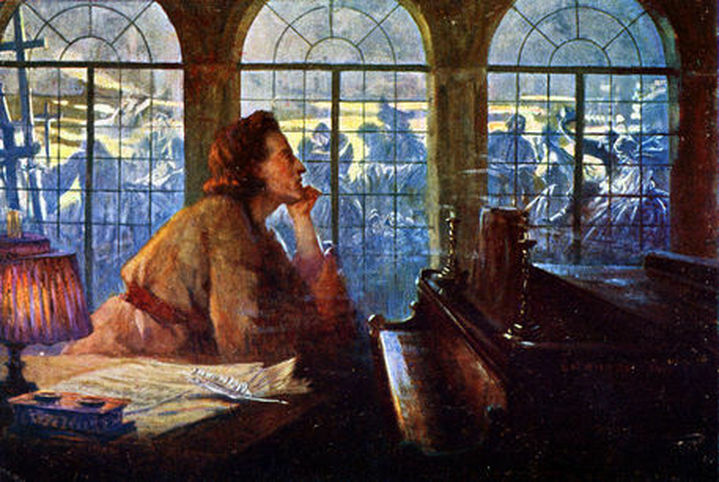 ​Chopin’s music can be readily identified by listeners because of his compositional style. His music displays extraordinary technical skill, combined with a sensitivity of emotional expression. No one else’s music sounds like Chopin’s. It is unique among artists. ​​Our final listening example is called the “Raindrop” Prelude. Usually, a prelude is an introductory piece, coming before more music. But Chopin’s twenty-four preludes are self-contained units. Each expresses a specific idea or emotion. The raindrop prelude focuses on a person’s conflicting emotions, and the understanding of one’s inner self. This is the longest of his preludes, lasting between five and seven minutes. It is noted for its repeating note which appears throughout the piece and sounds like raindrops to many listeners.